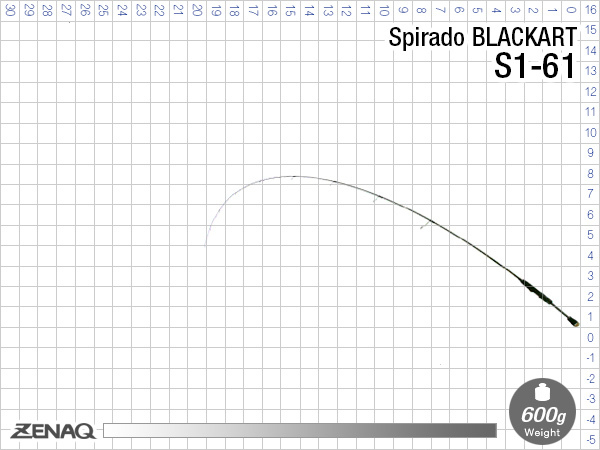 The S1-61 is ideal for chasing species such as bass, EPs, sootys, yellowbelly, finesse jacks and many more. Like all Zenaq rods, the Spirado Blackart is constructed with the highest quality blank and fitted with the finest componentry. If you have locations that require precise casting to pull quality fish from cover, the S1-61 should be on your short list! ※GUIDE / All BLACKART models use FUJI titanium frame and TORZITE ring guides.